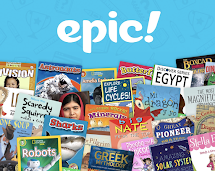 Sneak peek - new books! New books, new books, how I love me some new books! One of the BEST parts of being a librarian is that I get to preview and buy tons of fabulous books for our library. I'm always on the lookout for what's new and exciting in children's literature - I read book blogs, watch book trailers from publishers, browse the book stores and public libraries, read professional reviews, and gladly take book suggestions. Here are some of the new ones coming to our library next week - I've read them all and LOVE each and every one of them! 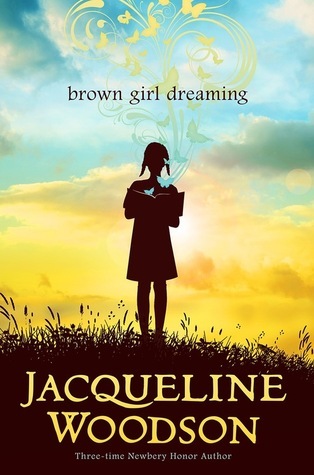 In a mostly autobiographical tale told in verse, Jacqueline describes growing up in the North and South in the 1960s and 1970s. She always wanted to be a writer, but living in her sister's shadow, she never knew she could until someone saw it in her. This is a beautiful story about family, life, and going for your dreams. And it's a National Book Award Finalist for Young People's Literature! I was so lucky to hear Jacqueline speak last weekend at NCSLMA (Jenni and Justine were there too! ), where she recited parts from her books to make them truly come alive. If you haven't seen her in person, now is your chance! She'll be at Quail Ridge Books in Raleigh on Wednesday, October 22! Have you ever read a book so lovely that you wanted to hug it and hold it close to your heart? That is what Ivan is to me. 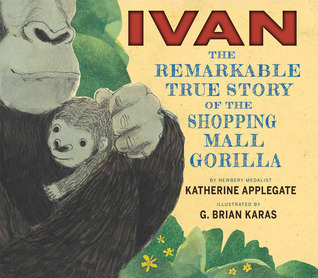 It all started with The One and Only Ivan by Katherine Applegate, which won the Newbery Award in 2013, and told the story of the incredible silverback gorilla who spent most of his life in a glass cage in a shopping mall. Applegate's novel told Ivan's story through his perspective, but this new picture book tells his story through an informational lens. Fans of Ivan, you will love this book! Are you anxiously awaiting the release of the newest Wimpy Kid book? The Long Haul comes out in ONE MONTH! Only a little more than 1 month away from the Long Haul release! I can't wait to share it with all my fans: http://t.co/2tBfUO1Yvs. Until then, here are some books that you can check out that are similar to the Diary of a Wimpy Kid series. They're mostly funny school stories with great characters! Enjoy! The shortest kid in the second grade, James Moody, also known as Stink, learns all about the shortest president of the United States, James Madison, when they celebrate Presidents' Day at school.